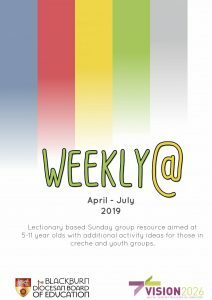 Weekly@ is our lectionary resource for you to use with your Sunday Children’s Group. 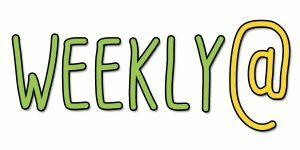 In each week you will find an opening activity, game, discussion, prayer, songs, activity, response time and a take home activity. 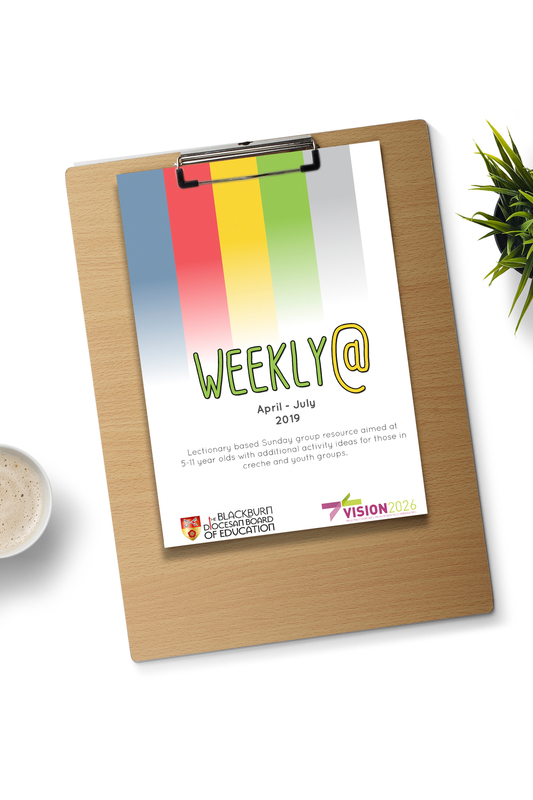 The newest addition is our Bible overview and All Age Service Idea, meaning Weekly@ has your Sunday sorted. Weekly@ is aimed at 5-11 year olds but it has age adaptations for Under 5s and Over 12s. This allows you to adapt Weekly@ to suit your group. Talking about our faith at home is very important, this is why each week contains a take home sheet to provide opportunities for families to talk about what they’ve heard together. April & May downloads are ready, June-July will be coming soon. Click the button below to download the whole resource, or scroll down to discover and download the individual items. Seven prayer station ideas, ideal for those aged 5-11. Designed to be set out in the shape of a cross, this session helps guide participants through a process of reconnecting with God. 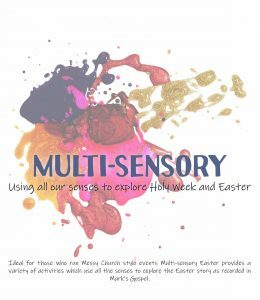 Ideal for those who run Messy Church style events, Multi-sensory Easter provides a variety activities which use all the senses to explore the Easter story. Brand new Under 5s Easter Service for this year. A short yet flexible service aimed at under 5s with worship and activities. Ideal for Pram Services or for use in a toddler group. Refreshed for this year, Outdoor Easter returns for 2019 with some new activities whilst keeping some of the family favourites. Outdoor Easter is a fun activity sheet for children to complete at home with their families. It’s a chance to explore Easter and create wonderful memories. Ideal for both under 5s and primary school aged children. An Easter scavenger hunt sheet aimed at 5-11 year olds (although under 5s can enjoy this too). It encourages children to get outside, discover new things and learn something about Easter with each item they find. You are encouraged to take your shoes and socks off as you journey from Palm Sunday to Good Friday in this sensory barefoot walk. Ideal for 5-11 year olds.